In “Faithful Sunshine,” the author shares the life-changing and profound presence of God’s grace realized during a very difficult chapter in her life. This book reminds readers that even in the most difficult moments, God’s grace and blessings will always shine through. As a first-time author, Lisa Anne Duda used to think she would never write a book in her lifetime. However, God led her and her family towards a life-changing journey filled with wisdom and insights that are worth sharing. She recognizes how God’s love needed to be emphasized for readers to see that through His grace and guidance, life is worth living. 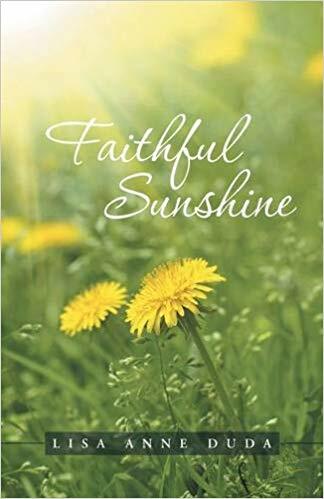 “Faithful Sunshine” opens up the author’s heart and mind as she narrates her journey of attempting to help her mother face mortality while dealing with her emotions as well as her faith. She walks readers through how she and her sister helped their mother through this difficult time and shared important realizations as they go along. Through Duda and her family’s inspiring story, readers will also get to understand the book’s greatest message: that God’s grace and blessings will always shine through. She also emphasizes that forgiveness and understanding goes a long way especially during trying times. Most of all, she lets readers realize that through one’s faith, unwavering courage and strength can be found. Soon, Duda’s “Faithful Sunshine” will join the upcoming Los Angeles Times Festival of Books. Happening on April 13-14, 2019, this grand literary celebration brings writers, publishers, book lovers, and literary fans all over the world. Don’t miss it! Lisa Anne Duda was born and raised in Indiana where she still resides with her husband Marc. She holds a Bachelor’s Degree in Business with a concentration in Information Systems from the Kelley School of Business at Indiana University. She has worked within the healthcare industry for almost 20 years starting in professional billing then transitioning to IT. Lisa is a first-time author. Writing a book was not on her bucket list, but she became inspired as she and her sister were faced with helping their Mom through a very difficult time. During that experience, Lisa watched as her Mom opened her heart to God’s Grace. It was an experience she felt compelled to share.